Distinguishing Characteristics Caucasian male. Sandy brown hair, brown eyes. 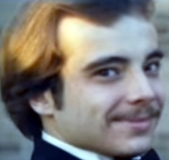 Ognjan had a mustache at the time of his disappearance. Ognjan left his residence in St. Clair Shores, Michigan on November 22, 1985. He was accompanied by his close childhood friend David Tyll. The two men planned to spend the weekend deer hunting in White Cloud in northern Michigan, at Tyll's family's cabin on Base Line Road. The last unconfirmed sighting of Ognjan and Tyll took place in the Houghton Lake/Mio area of Michigan on the day they vanished; they cashed a $50 check and left in Tyll's black 1980 Ford Bronco with the license plate number 447 HRZ. They never arrived at the cabin or purchased hunting licenses. The Bronco they were driving has never been located; a photo of it is posted with this case summary. The two men were carrying $140 between them at the time of their disappearances. In May 2003, almost eighteen years after Tyll's and Ognjan's disappearances, two brothers were arrested in connection with their cases. Police believe Raymond Wilbur "J.R." Duvall Jr. and Donald Dean "Coco" Duvall killed Ognjan and Tyll on the night they disappeared. Before their arrests, the men lead a rough existence living off the Michigan woods, shooting game and sleeping in small cabins and trailers. Photographs of the Duvalls are posted with this case summary. Witnesses reported seeing the Duvalls beat Ognjan and Tyll to death outside the Linker's Lounge bar in Mio, and other witnesses who heard the brothers brag about feeding the missing men's bodies to pigs. The informants allegedly did not come forward for so long because they had been threatened by the brothers and were afraid of retribution. Several of them have died since 1985. There is no blood or other physical evidence linking the Duvalls to Tyll's and Ognjan's presumed deaths, and their attorneys said they were being framed and the witnesses were all either lying or mistaken. The star prosecution witness admitted to having had nine alcoholic drinks prior to witnessing Tyll's and Ognjan's murders. Nevertheless, both defendants were convicted of two counts of first-degree murder in October 2003. They were sentenced to life in prison with the possibility of parole. 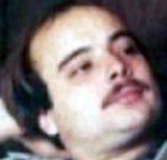 Ognjan was employed as a mechanic at the time of his disappearance. Foul play is suspected in his and Tyll's disappearances due to the circumstances involved. Their cases were the subject of a 2006 book, Darker Than Night, by Tom Henderson.